Hearty, filling, and almost medicinal, soup is the perfect meal for a variety of occasions. 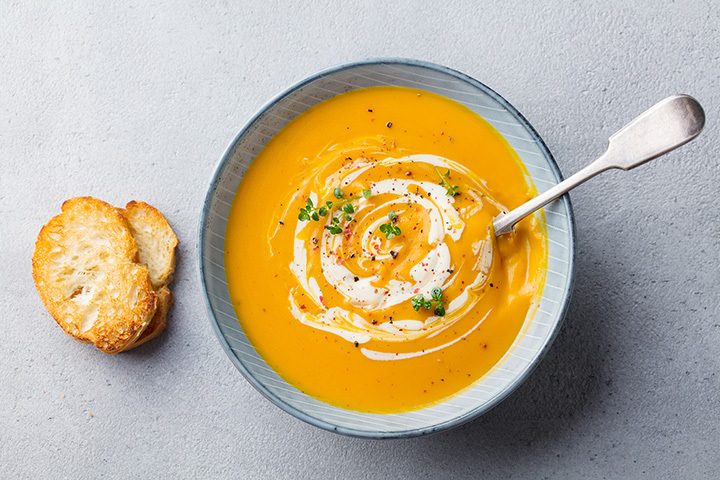 Whether it’s a light summery soup like tomato or a robust cold weather option like butternut squash, there’s something for every taste and time of year. Next time you’re craving a hot bowl of something delicious, check out these 10 great soup places in Michigan. The Soup Cup is what's called a “microsoupery,” like a microbrewery, but for soup. This leads to a whole lot of options, and though it only offers eight soups a day, it calls on a roster of 873 original recipes. That number is not a typo. Eight hundred seventy-three. That's how many original recipe soups are waiting at the Soup Cup. Uncle Cheetah's features 12 different made-from-scratch soups that change daily but draws on a bank of 139 different soups for its dozen selections. Check out such fare as the white cheddar steak and mushrooms or the Woo-Stew, which combines chickpeas, sautéed onions, garlic, and cashew puree for a thickener. Top it off with one of seven different kinds of grilled cheese, a selection of salads, and even some desserts. Welcome to Insalata Troy. Here, you'll have your choice of six different soups daily, along with homemade turkey chili, in cup or bowl sizes. That's just for starters, as Insalata Troy will also bring out a set of sandwiches, a selection of baked potatoes—ever had a tuna melt baked potato? You will here—and even a set of fruit smoothies if you want a light dessert to follow. Achatz Catering and Soup, in Casco, takes soup very seriously. So seriously they put it right in the name. They do it very extensively, too, with soup that's not only made from scratch—the noodles are hand-rolled—but they're also simmered for hours for the sake of the flavor. Twenty-five different soups are available here, though it's a good idea to check in advance for your soup of choice as not all are always available. From humble fare like chicken noodle to exotics like Polish gumbo, you'll have an excellent range of soups to enjoy here. St. Clair Shores' Nautical Deli is pretty much what delis are about: sandwiches and soup. There's an everyday soup menu, which includes some sound fare like chili—with beans, for all you purists out there—but also chicken noodle, French onion, and beef barley. There's also a soup of the day menu for every day they're open that includes some of the more exotic fare, like lobster bisque on Wednesdays, Fridays and Sundays or Wisconsin bacon mac on Thursdays and Saturdays. Then, of course, you can go on to sandwiches, sides and beyond. The Cadieux Cafe, a Detroit addition, features some exciting options in soup, including the soup du jour which changes regularly. There's also a mussel soup which features mussels, a Belgian onion soup, and the Texas-style billy chili which can add cheese and onions for an extra dollar. Great by itself, but there's plenty more food waiting here, and for those who want to make a night of it, check out the extensive selection of beers and the feather bowling. The Cadieux Cafe is actually home to the only feather bowling course in the United States. The Soup Spoon Cafe in Lansing offers a bit of something unusual in its fare—it offers six different kinds of soup every day. Not that odd, but it actually offers its soup by category. There's always French onion, and seafood chowder. But beyond that, there's “a cream,” “a broth,” “a vegan offering,” and finally, “a seasonal.” The exact nature of those four changes with each passing day, so, if you don't like what you see one day, try back later for something else. Sandwiches and even dinner entrees are also available to round out the experience. Grillcheezerie in Ann Arbor only boasts three soups: classic tomato, roasted garlic tomato basil, and chicken lemon rice. And Grillcheezerie has one particular edge to it: Michigan's best grilled-cheese sandwich, according to BuzzFeed. We all know that tomato soup doesn't go over quite so well without that accoutrement, and bringing it along elevates Grillcheezerie up a peg. At SoupDive, start with the Dive Gumbo and from there go as slender and healthy as the vegan cabbage soup or as thick and potent as the angus beef stew. Naturally, it's not just soup; you can grab sandwiches and more while you're there, but SoupDive's name makes it clear, soup is the main attraction!